I came across Hyundai Verna Fluidic 1.4L VTVT in the parking lot of my office and I am really impressed by the looks that have been granted to this chick and I believe it to be worth millions of appreciations. I asked the owner about the internal configuration of this premium sedan and was surprised to know that it has 1.4L, VTVT Petrol Engine of 1396 cc that generates a maximum torque and power of 138 Nm and 107 PS without any fuzz. 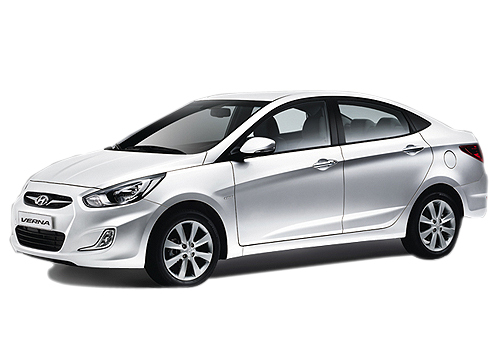 With a fuel tank capacity of 43 litres this Verna Fluidic version will cover approximately 560 km in a single fill by delivering 13.2 kmpl in town and 17.43 kmpl on highways. A zest is created with the shimmering top speed of 171 kmph which is best enjoyed with the available exotic features like Air Conditioner, Power Steering, front and rear Power Windows, front and rear Cup Holders, Remote Trunk/Boot Opener, Remote Fuel Lid Opener, CD Player and Central Lock.